The library has copy, scan and fax services as well as a Notary Public on staff. Please call ahead for availability (715) 365-1070 Ext. 1084. With over 1.2 billion records in over 3,000 databases, this is a comprehensive online source of information available for conducting genealogical and local history research. Contains millions of searchable newspaper pages, dating as far back as the 1700s, presented in a PDF format that preserves the original context and format of content. The library offers wireless internet access (Wi-Fi) anywhere in the building No password is required. As with most public wireless “hot spots,” the Library’s wireless connection is not secure. Laptops: One laptop is available for use within the library for patrons taking an online test or conducting research. Please contact the Adult Circulation desk for more information. A current photo ID will be held during checkout. The fines are 10 cents per item per day on all late materials. If an item is from another library, items may be subject to that library’s fine policy. Patrons with fines of $5.00 or more will be prohibited from borrowing library materials. Gale Courses is available now to library cardholders Enroll in as many classes as you’d like! 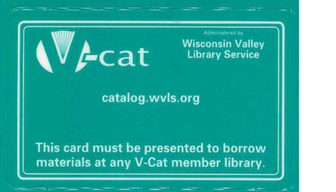 Patrons of any age are invited to obtain a library card. To apply, patrons can complete an application form at the library. Patrons will need a photo ID and proof of residence. A parent or guardian must be present to complete a library card form for children under 16 years of age. Library cards may be used at all libraries in our shared system. Rhinelander District Library has a meeting room that is available for public use. Access the reservation form and with information on requirements for using the meeting here: Meeting Room Policy. Through the library’s “Books on the Go” service, library items are delivered to four senior residences (Evergreen Manor, Grace Lodge, Phoenix Villa, and Rhine Haus) every other week. We bring large-print books & magazines, audiobooks, music and movies. The library also partners with the Oneida County Department on Aging (OCDA) to provide library items to homebound individuals in conjunction with the OCDA’s home-delivered meals program. For more information on library services to seniors and homebound patrons, call our outreach librarian at 715-365-1070, extension 1083 or e-mail rhineout@rhinelanderlibrary.org. Click here for more local and national senior resources. School classes and child care groups are greatly encouraged to visit the library for tours, storytimes, research, or to checkout library materials. If you can’t make it to us we will happily come to you! Library staff will make 20 to 30 minute visits to your classroom to talk about the public library and to conduct storytimes. To schedule a visit or for more information stop by the children’s department or telephone 715-365-1079, extension 2 or e-mail the children’s librarian at hurlburt@rhinelanderlibrary.org. What are the loan periods on items? Adult Department – New Fiction/Non-Fiction books check out for 2 weeks; all other books are 3 weeks. DVDs and non-current issue magazines check out for 1 week. TV series for 2 weeks. Audio Materials check out for 3 weeks. Children’s Department – All books, magazines, audiobooks, and music check out for 4 weeks. Videos, DVDs, and Computer Games check out for 1 week.